Located in southern England not far from the south coast, Chichester is a cathedral city in West Sussex. With a population of approaching 30,000, there’s a wide range of properties to choose from in the area, from cosy terraces to spacious detached homes. At My Home Move Conveyancing we offer a specialist, fixed fee conveyancing service, and have been developing our knowledge and expertise of Chichester’s property market since 2001. If you’re looking to buy or sell property in Chichester, you have to instruct property lawyers to carry out the legal work on your behalf. 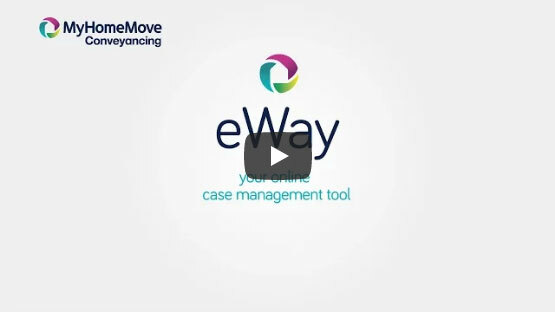 My Home Move Conveyancing offers award winning customer service, innovative use of technology and more completions per year than anyone else in the UK. Our fixed fee conveyancing service comes with no hidden extra costs, so you’ll know exactly how much you’re going to pay from the outset. Choose us to be your Chichester conveyancers for added security, because if you don’t end up completing, you won’t need to pay us anything in legal fees. You’ll be provided with a dedicated conveyancer who will act on your behalf throughout your case, providing you with a consistent point of contact and regular, clear updates of the progress. At My Home Move Conveyancing we have provided professional conveyancing services in Chichester to customers looking to buy property in the town centre and in nearby neighbourhoods such as Stockbridge and Fishbourne. The average house price in Chichester is £368,254. In the past 12 months most sales in the area involved terraced properties, which went for an average price of £342,699. Flats sold for £242,721, while semi detached properties fetched £375,039. With a long history that stretches back to Roman times, Chichester has long been an important settlement. It has a 12th century cathedral and some of the oldest churches and buildings anywhere in the United Kingdom, and plenty of great culture to enjoy, with a local theatre, museum and art galleries. Chichester is nice and close to the English south coast for days out on the seaside, while it’s also on the doorstep of the Kingley Vale National Nature Reserve. The A27 road connects Chichester to other parts of the south coast, running east towards Brighton and Eastbourne, and west to Portsmouth. Brighton can be reached in around 45 minutes by train, while it’s just half an hour to Portsmouth. If you want to take a train to London, the journey takes around an hour and a half. For families with children, there are plenty of highly rated schools in the local area which you can choose to send your little ones to. Options at primary level include West Dean CofE, Aldingbourne Primary, and Fishbourne CofE, while Chichester has separate high schools for boys and girls. Bishop Luffa CofE is another choice at secondary level, while St. Anthony’s provides special needs education for children aged between four and 16. All properties in Chichester will fall within one of the following council tax bands.